Pitt grad student union organizers, in conjunction with United Steelworkers, projected their campaign logo on the Cathedral last year. After a week of testimony in front of the Pennsylvania Labor Relations Board, the Graduate Student Organizing Committee and Pitt have come to one conclusion — hearings will have to continue at a later date. 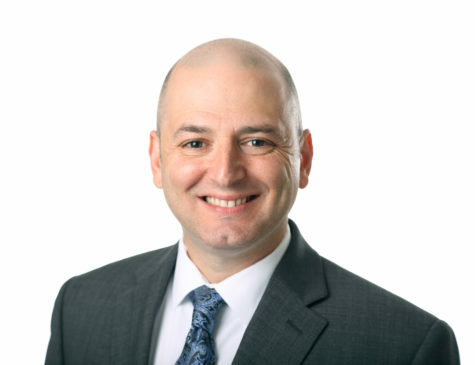 According to Beth Shaaban, a union organizer who earned her doctorate in epidemiology from Pitt in 2018, the hearings will continue at a later date yet to be determined because the administration could not present all its witnesses in the original time frame allotted to them by the board. “We really hope it will not cause further delay of our election, which we petitioned the labor board for nearly a year ago,” she said. University spokesperson Joe Miksch said proceedings of this sort can take longer than expected. “This hearing is part of the Pennsylvania Labor Relations Board’s standard process, and we are simply following their process,” he said. 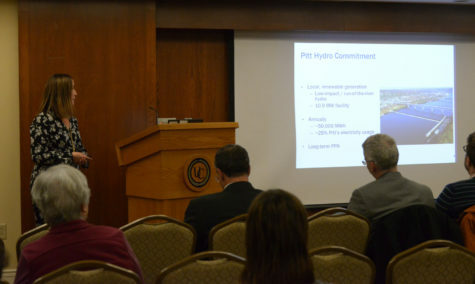 The hearing, which took place Tuesday, Oct. 2 through Friday, Oct. 9 at the Hilton Garden Inn in Oakland, will ultimately determine if Pitt’s graduate students have the right to file a petition for a union election with the PLRB. 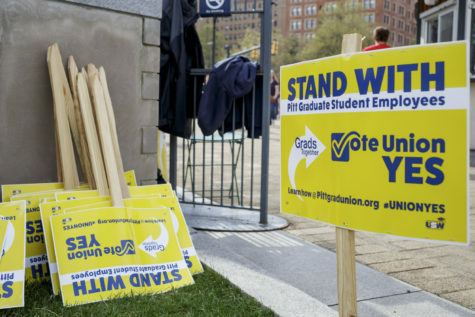 Graduate students cannot participate in a union election if they are not seen as employees by the PLRB, which Pitt, represented by Philadelphia-based law firm Ballard Spahr, seeks to prove in these hearings. Members of GSOC, represented by attorneys with United Steelworkers, are arguing that graduate students are employees and therefore have a right to unionize. GSOC announced a plan to push for graduate student unionization in January 2016, following in the footsteps of graduate students at Temple University, Harvard University and other schools across the nation. 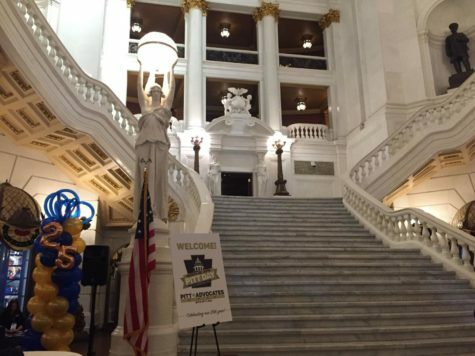 Since then, organizers have worked with United Steelworkers to gather support for a vote through authorization cards. Graduate students filed a petition with the labor board for union election in October 2017, indicating that organizers collected union cards from 30 percent of students. Shaaban believes the hearing will likely be in GSOC’s favor since the PLRB ruled in the favor of graduate students in similar cases, including at Penn State earlier this year. The labor board ruled in February that graduate students at Penn State were considered employees and could unionize. 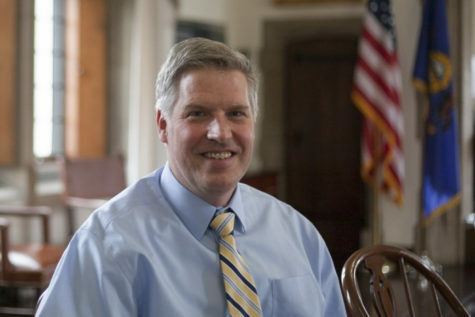 Penn State was represented by the same law firm Pitt employed for the past week’s hearing — Ballard Spahr. 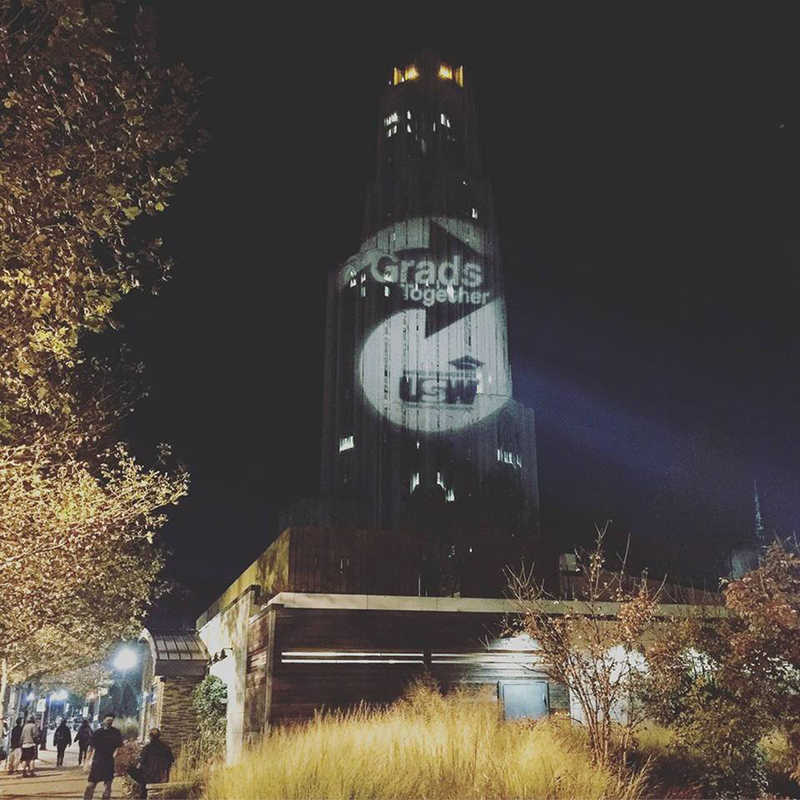 Pitt administrators told the PLRB mid-March that they planned to challenge the graduate student petition to hold a union election. 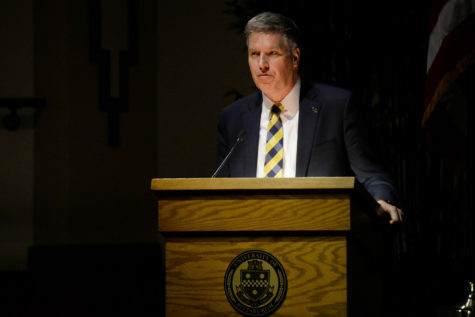 This past week’s hearing featured testimonies from dozens of members of the Pitt community, including faculty members, graduate students and Vice Provost Nate Urban. Shaaban testified Tuesday about her work as a researcher while she was studying in Pitt’s department of epidemiology, arguing why the University should consider her as an employee. She cited her 20-hours-per-week work requirement and the federal tax forms she received from Pitt for her stipend. “When you’re not an employee, you don’t have those things down,” she said. Ben Case, a doctoral student in sociology, testified Monday and was present on other days to observe the proceedings. He’s taught classes and acted as a teaching assistant for nine semesters, and was quizzed about that by USW and Ballard Spahr. Case said Pitt’s argument that any work graduate students do is for their education as students is flawed because him learning from an experience does not disqualify the work. Golnar Touski, a third-year in the history of arts and architecture department, testified Tuesday morning. She said she fielded questions both from the USW attorneys and Ballard Spahr about her appointments with the University as a research assistant and the work she’s done apart from her own research. “It’s very unfortunate for us as grad students that instead of the University acknowledging that we are workers and that they benefit from our work, that instead they choose to spend tuition money they get from grad students to hire a law firm to argue against us,” she said in an interview. 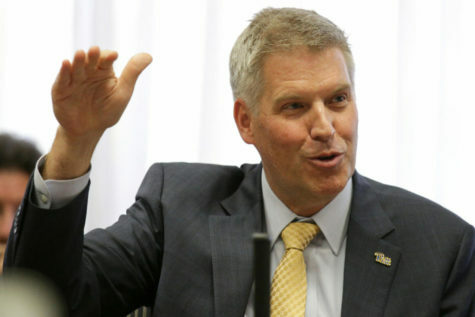 Miksch did not respond to a question about where the funds to pay for the University’s legal representatives came from. Touski thinks the graduate students have a solid argument since they receive W2 forms, and feels confident that the hearing will be in GSOC’s favor. “The work we do is very crucial … the University depends on grad student labor … universities across the country depend on it,” she said. 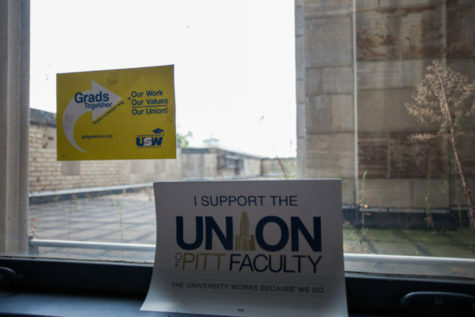 If the labor board determines that Pitt graduate students are employees, the administration will be required to present an Excelsior list — a list filed by the employer stating the names and addresses of all eligible bargaining unit employees. 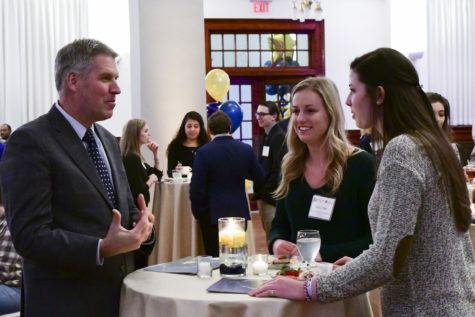 The Pennsylvania Labor Relations Board will then be able to check the filed union cards and certify if 30 percent of graduate students have signed union cards. If they determine graduate students are simply students and nothing more, the students will not be able to file a petition to hold a union election. Case described the status of graduate students being both students and employees as noncontroversial and is upset that the University views the issue differently. “They talk about the community, about us being a family. I wish they’d show that here,” he said.